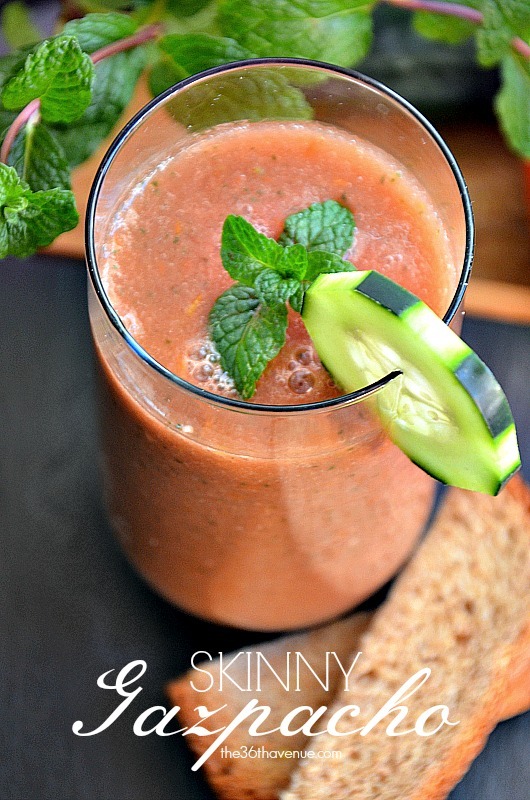 We are starting the day with our refreshing Skinny Gazpacho Recipe. If you have never tried gazpacho before you don’t know what you are missing. 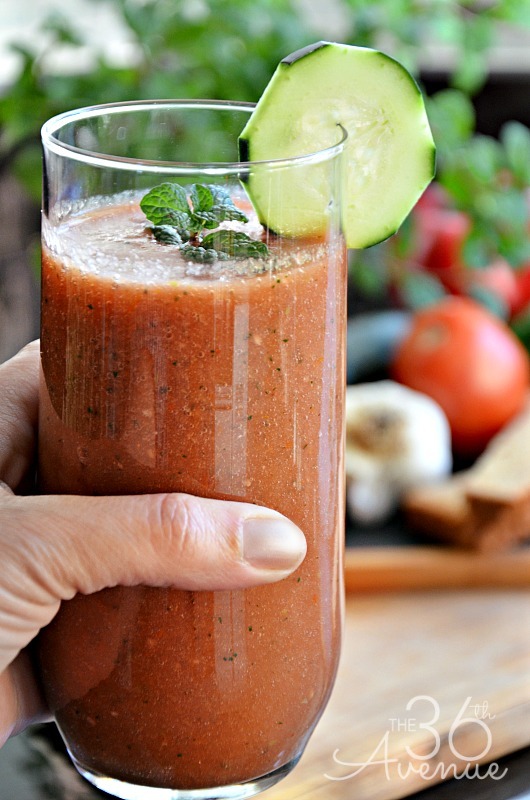 This is a refreshing cold drink made with tomatoes and fresh veggies. 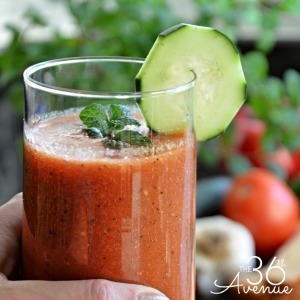 The traditional gazpacho contains olive oil but I came up with a skinny version of it that is fat free and packed with the delicious taste of a traditional gazpacho. Gazpacho is widely consumed in Spain, it is traditionally served cold and mostly it is consumed during the Spring and Summer months, due to how refreshing it is. If you like tomato based soups you are going to love Gazpacho! Wash the tomatoes, cucumber and green pepper. Remove the seeds from the green pepper. 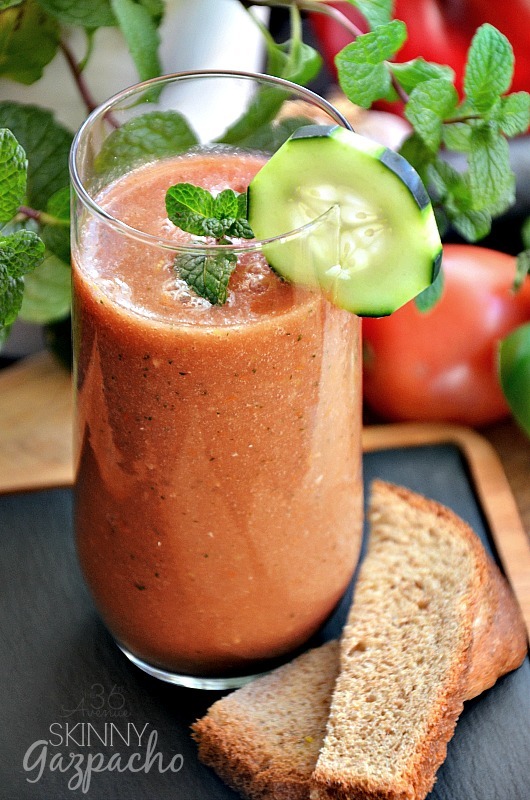 Cut the tomatoes, green pepper, and cucumber into cubes so they are easy to liquify in the blender. Peel the garlic clove and onion. Place all of it inside of a blender plus the water and dressing. Blend until the consistency resembles soup. I like to serve my gazpacho with a few mint leaves on top and a slice of cucumber. So darn good and guilt free! As always thank you so much for stopping by today. 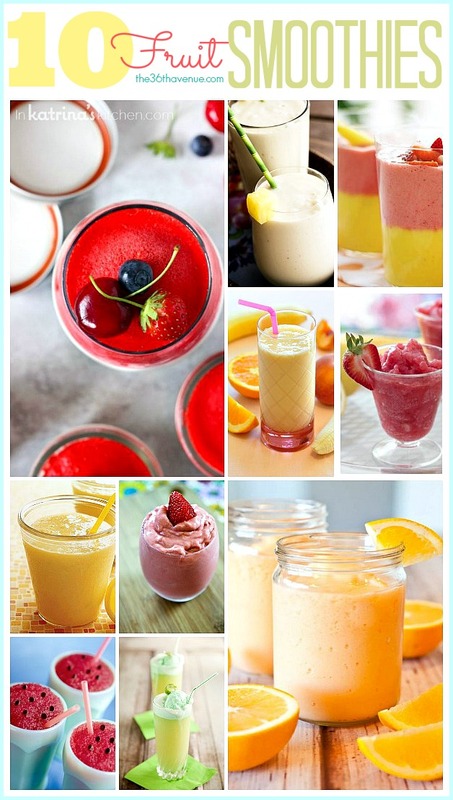 This looks refreshing and delicious. Thanks, Des!! Pinning this for sure, Desiree! Can’t wait to try it!! I LOVE gazpacho!!! I am definitely going to try this!